What Happened to the 5th Norfolks in 1915? Steve will be talking about, and debunking, the myths that surround the alleged disappearance of the 5th Norfolks on 12th August 1915. 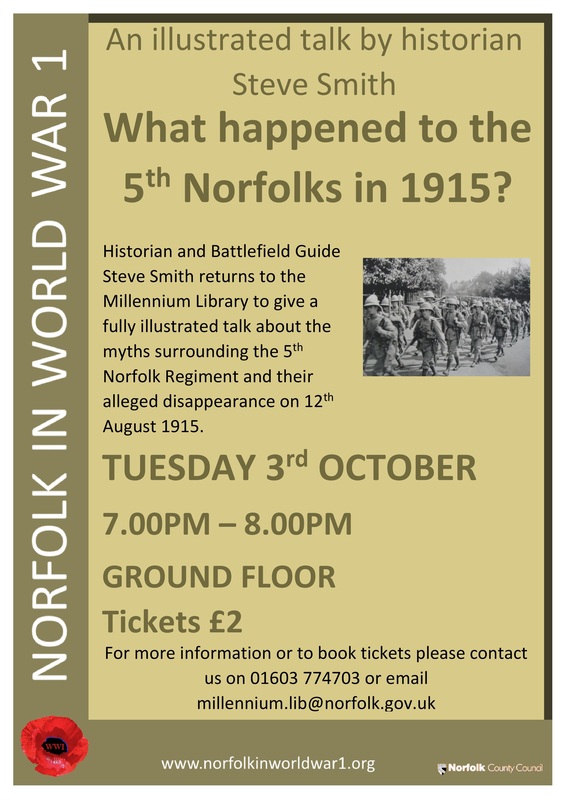 The event starts at 7pm and will last about an hour, tickets are £2 and can be booked by calling 01603 774703 or emailing millennium.lib@norfolk.gov.uk. This entry was posted in Events and tagged myths, Norfolk Regiment. Bookmark the permalink.